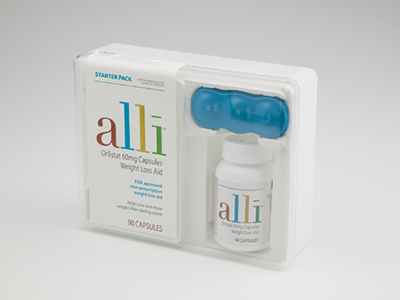 Alli is the only FDA-approved weight loss product available without a prescription. Approved for use by overweight adults in conjunction with a reduced-calorie, low-fat diet, alli helps people lose 50 per cent more weight than diet alone. It is the first clinically proven pill to be combined with a comprehensive support program including an individually tailored online action plan that provides support and additional tools to lose weight. Precio increíble de Weight loss product Alli en Ciudad Arce (El Salvador) de la empresa Glaxosmithkline el Salvador, S.A. de S.V..